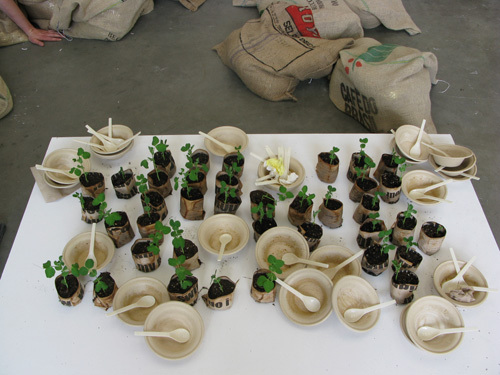 Bean-In, an April 2010 event, is one project that relied on the meal for this sense of structure. 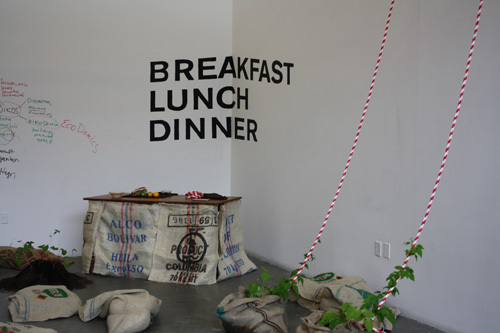 A temporary, free restaurant established at CCA by artists Mark Gravel and Natasha Wheat and designer Sarah Magrish Cline, the project stemmed from a series of meals Gravel had been serving at Mission Boutique Gravel and Gold. 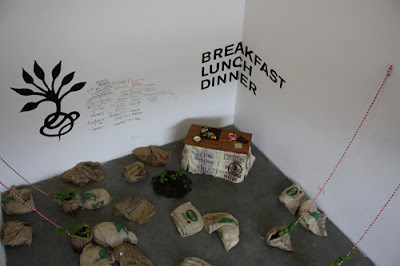 Wheat saw Bean-In as part of a larger “investigation of the convivial experience” happening in today’s art world. Her approach is to use food as one of many sensory experiences in a space, a kind of accoutrement to a larger, conceptually based project. “If you were just giving away food in a gallery I wouldn’t necessarily consider it art,” she says. 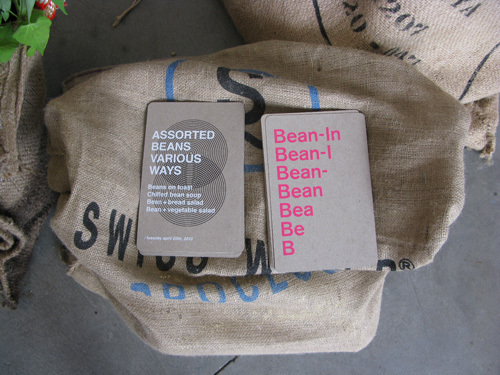 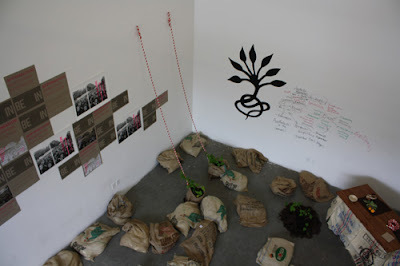 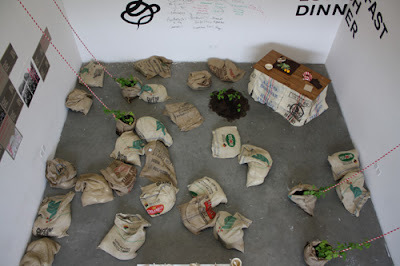 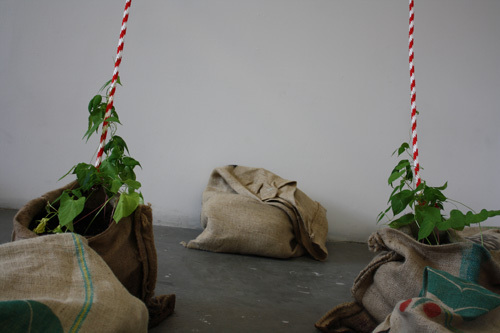 Bean-In took place over the course of twelve hours, during which participants could wander into a room filled with living, potted bean vines, eat a free bean-based meal, and lounge on recycled burlap coffee bean bags. 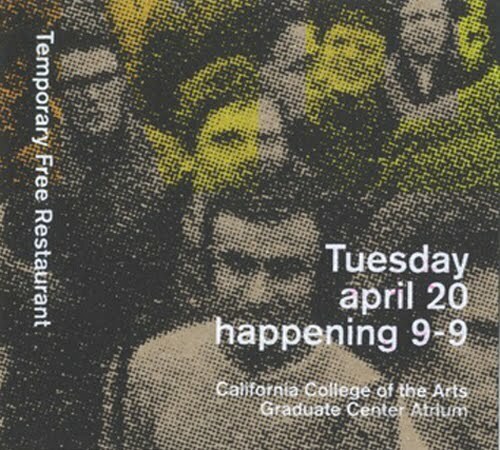 “Micro-lectures” were delivered as a complement to the visual and gastronomic experience, and a set of accompanying posters leading up to the event referenced the be-ins and sit-ins of the 1960s.